They say you can never go back. I too have concerns about trying to recreate an original good experience. But on this trip we have successfully enjoyed things a second time around. The journey is from Duluth to the Olympic Peninsula in Washington state. While Rich and I drive across country, our three grown children and their spouses are packing their bags to fly out and meet us there on Saturday. A week's family vacation awaits us there. The prior trip was to begin our Glaciers to the Sea bike tour. 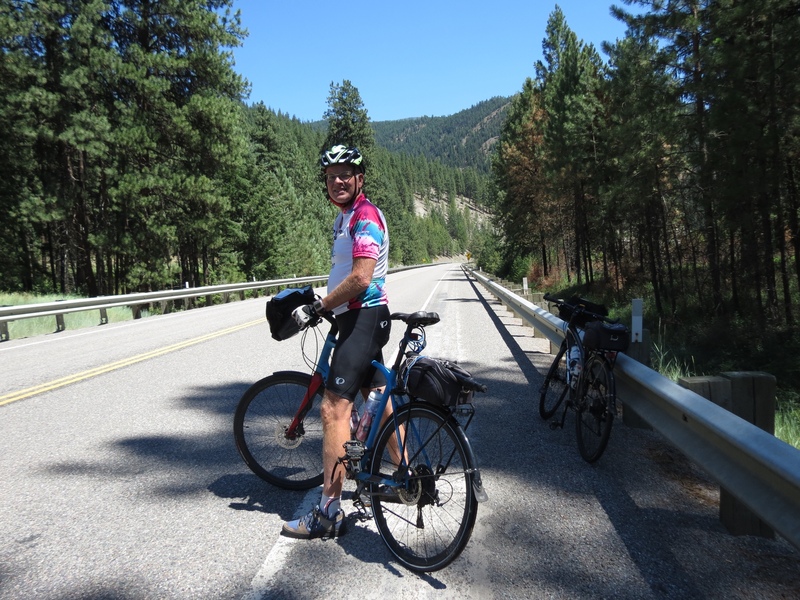 We followed much the same route, although in the three intervening years Rich has become passionate about staying off the interstate. Back roads rule. But still, we managed to hit some of the same spots en route. 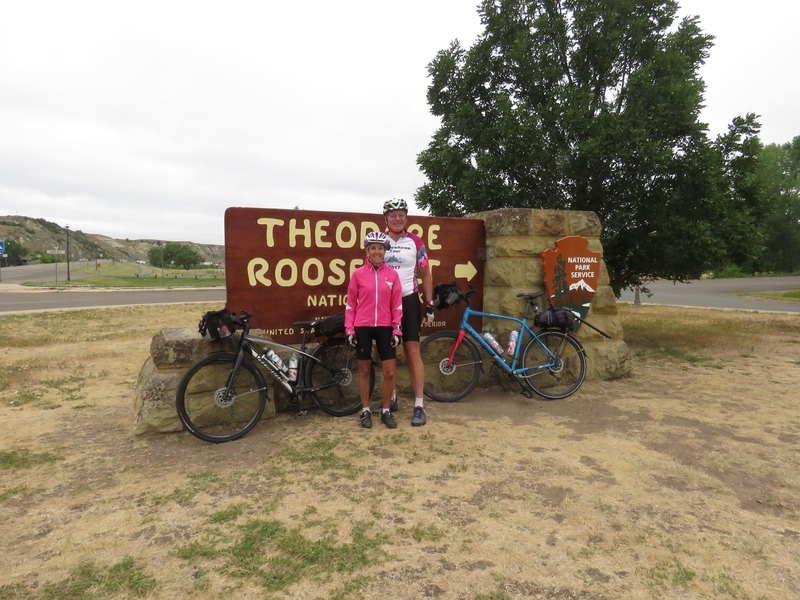 It was a marathon first day's drive, but we were determined to get to Medora ND. 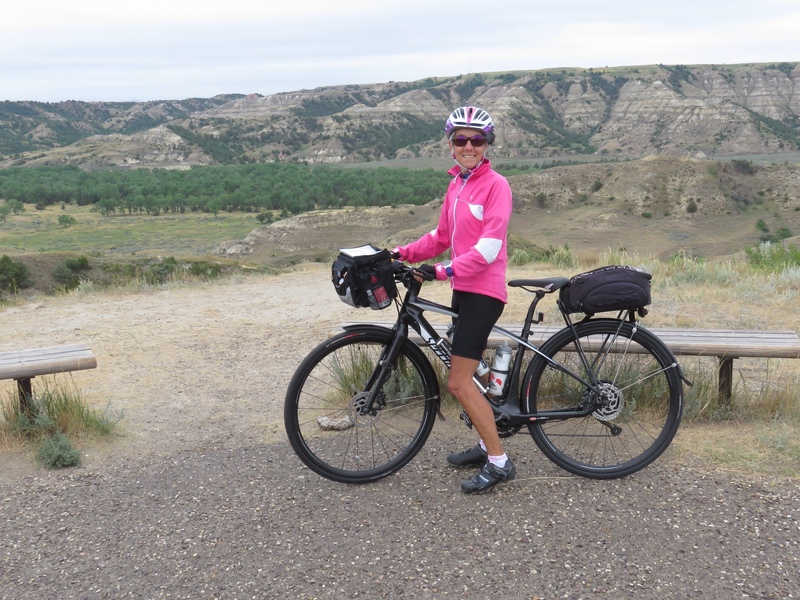 That allowed us to get out first thing the next morning to cycle through Theodore Roosevelt National Park. Our rewards for rising early were empty roads, frisky wildlife and a quiet ride. 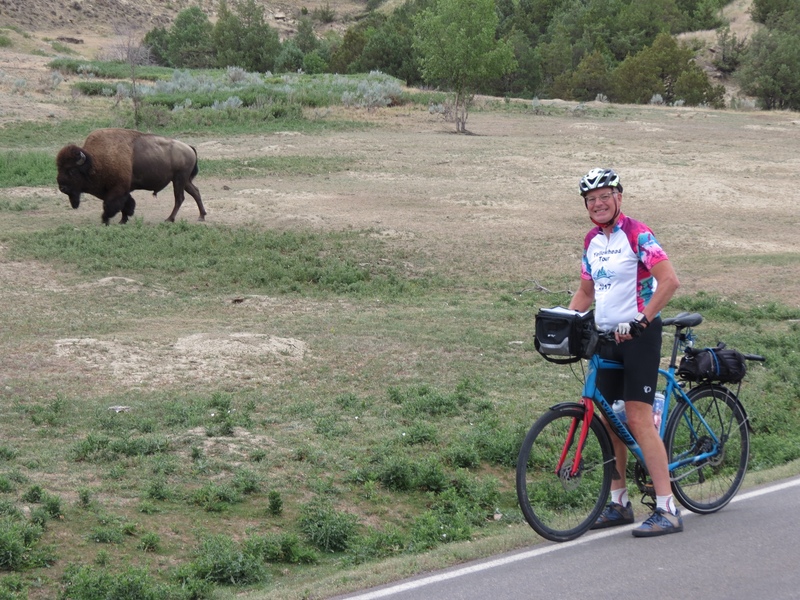 It was a much more up close and personal experience than driving in the car last time – especially passing right by a bison on the side of the road! The next one we saw was moving rapidly with purpose. Mid-stride, he suddenly stopped, dropped and rolled – right on top of a prairie dog hole. There were numerous deer with large ears and active prairie dog towns with yipping dogs gathering breakfast and popping in and out of holes. Despite the cloudy day, the land formations were still impressive and other worldly. 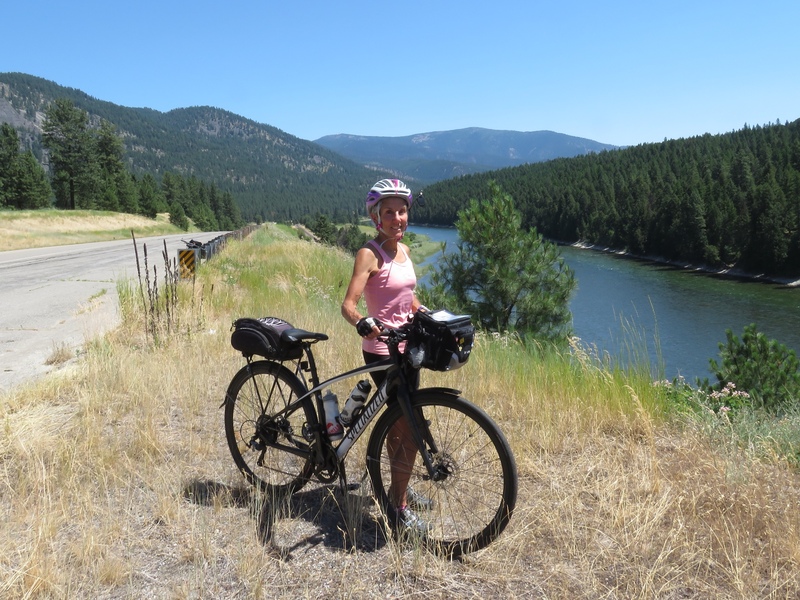 Cycling along the Clark Fork River remains one of our best memories from our Glaciers trip. So we selected another section of the river for an afternoon ride. Although this road was busier and we sweltered in 96 degree heat, the river was as beautiful as we remembered it. And we enjoyed the journey through lush forest land. 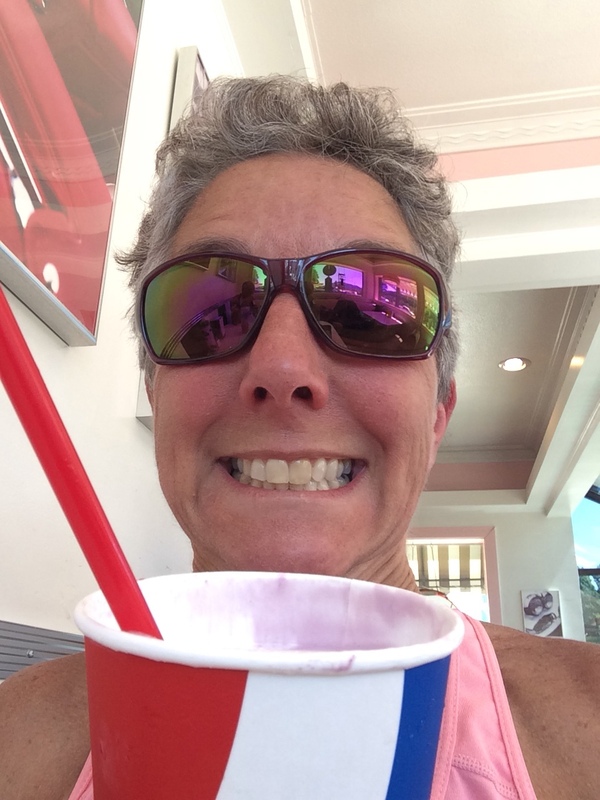 There was only one remedy for our overheated bodies at the finish – a huckleberry shake, of course. Clearly we are back in huckleberry country, where you can buy anything flavored with them. But nothing beats huckleberry ice cream. I guess I'm a convert. These old favorites have all been worth revisiting. 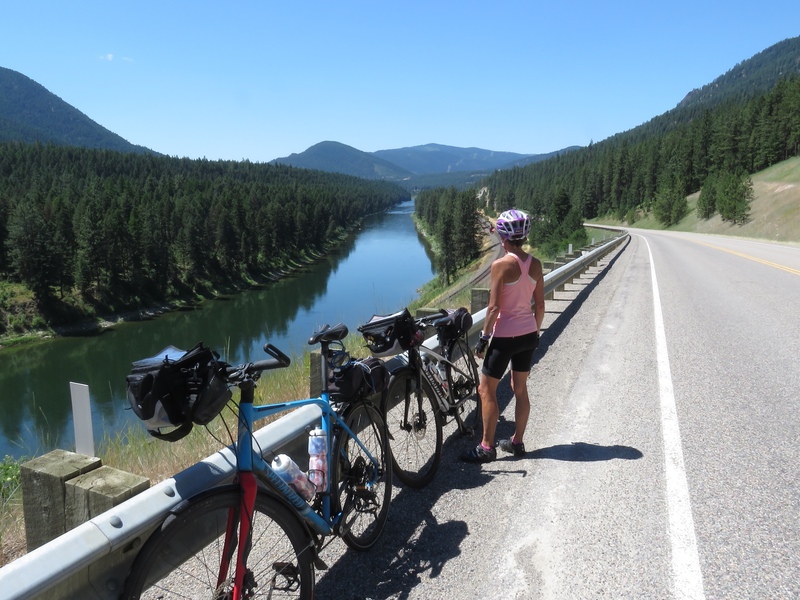 This entry was posted in Travel and tagged Cycling, Travel by Molly. Bookmark the permalink.